Another relaxing retreat in a beautiful garden setting. 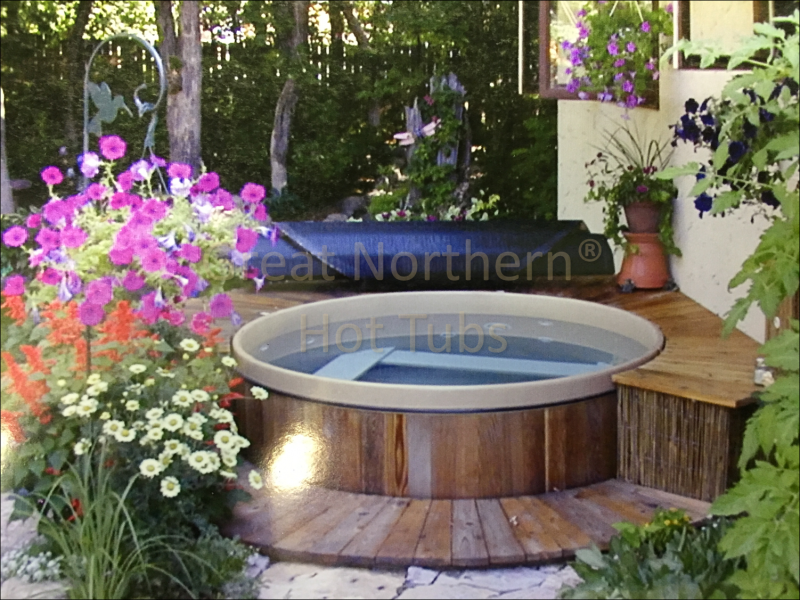 The bottom of this 44" deep tub is below ground level to bring the top and surrounding deck down to a comfortable seating height. The flush deck also provides a convenient shelf for the rolled-up cover.